Posted June 18, 2017 5:08 pm & filed under Reader Photos. 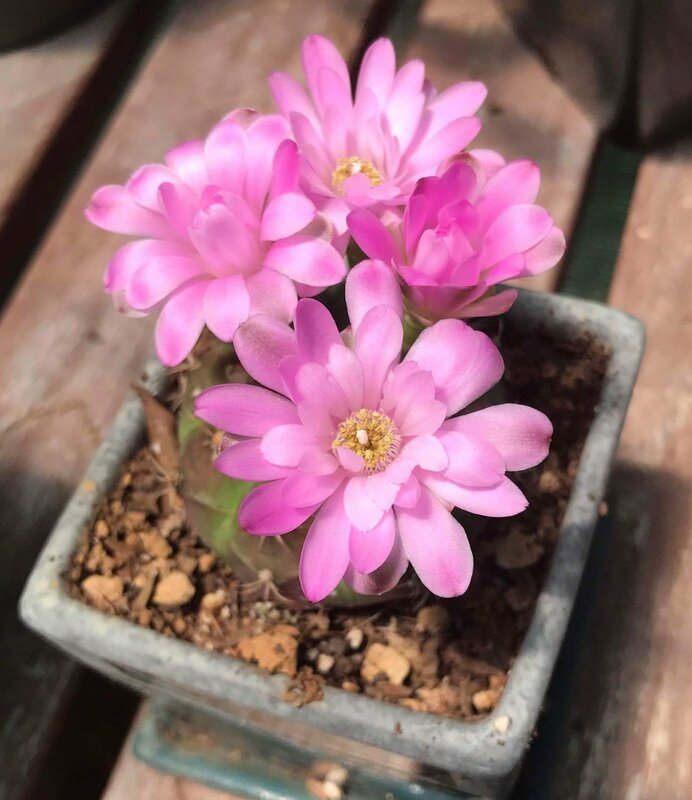 ​Gymnocalycium Rotundulum I bought from you guys a couple of years ago. Its first time having multiple blooms.